Want To Sell Your House In Charleston, SC? D Gilpin Properties buys homes in Charleston, Mount Pleasant, North Charleston, Hanahan, Goose Creek, and beyond! Let us make a fair all-cash offer on your house today. Give Us A Call At: 843-800-2741 Today! 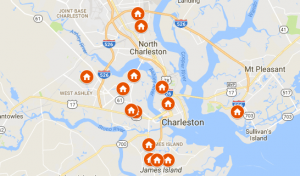 Thinking of selling in Charleston? If you want to sell your Charleston house fast and for a fair price…we can help! D Gilpin Properties makes selling your Charleston home easier than ever. If you’re like most homeowners that work with D Gilpin, you want a better way to sell your house. Selling your house to D Gilpin Properties is a simpler, less expensive way to sell in Charleston. We’re local, trustworthy and ready to buy your house for cash! 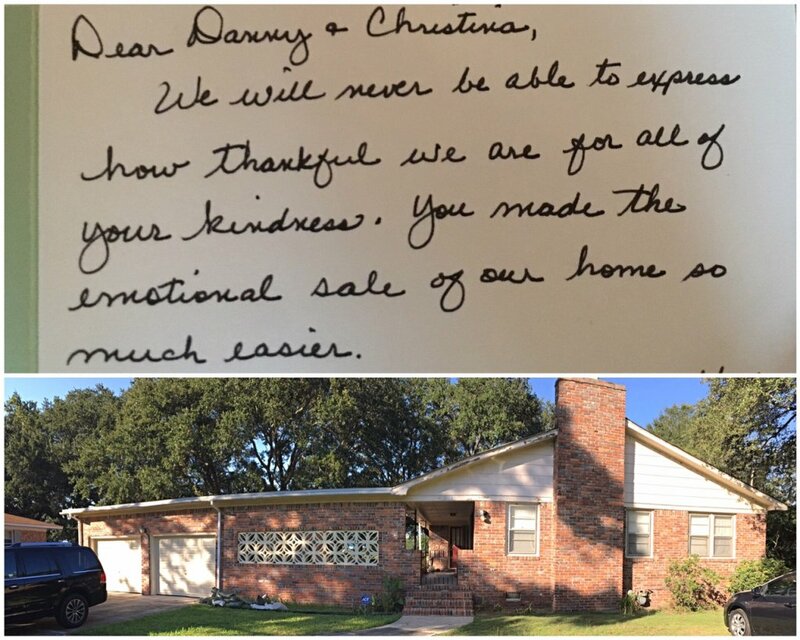 Here’s a note we received from one of our past home sellers. Our home buying process is faster and more efficient than listing a property on the MLS. Selling to D Gilpin is simple and straight-forward. You get paid in cash for your house on the day of closing! Talk to Us About Your Home. Call (or text message!) our office at 843-800-2741 or contact us by filling out the online form. We’ll ask you some questions about your house and answer any questions you have about our process. Get a Cash Offer. After talking with you and seeing your home, we’ll come up with a fair, no-obligation offer on your house. You’ll get a 100% cash offer on your home from us. Choose The Closing Date. Once you accept our written offer, you can pick your closing date. We work around YOUR schedule to make the closing as convenient as possible. The closing will take place at our local attorney’s office. After the closing, you walk out with cash in your hands! It’s that simple. Give us a call or take a look at our most frequently asked questions to learn more about how selling works with D Gilpin. Moving is tough work, so let D Gilpin Properties do the heavy lifting! Give us a call to learn more about our moving assistance program and see what we can do for you! Did you know… Real estate agent commissions are normally about 6% of your sales price here in Charleston? When you sell to D Gilpin, you aren’t listing with a real estate agent. You are selling directly to the home buyer (that’s us!) so that means you pay zero realtor commissions. 4. Get A Fair Offer – Guaranteed! We only make fair offers and communicate honestly with everyone we work with. We promise to only make offers that we would take ourselves. If we don’t think we can make a fair offer, we’ll tell you right then and there. It’s that simple. If you’re better off making a few repairs and listing your house, we’re 100% honest with you. You probably know the traditional way of selling your home means months of waiting, annoying repairs, and hidden expenses. Good News! There’s an easier, better way to sell. When you sell directly to D Gilpin Properties, you avoid the complications that go along with listing your house. Sick of putting up with the hassle of owning a burdensome property? It’s time-consuming and expensive selling your property the traditional way. So, let us help you! No matter what condition your house is in; no matter what situation or timeframe you’re facing… D Gilpin Properties is fully equipped to make a stress free deal for you. . Our goal is to help make your life easier. We help property owners just like you, in all kinds of situations. From divorce, foreclosure, death of a family member, burdensome rental property, and all kinds of other situations. We buy houses in Charleston and surrounding areas and pay a fair cash price, quickly. Are you too busy to do all of the things that need to be done to prepare your house for sale?… if that describes you, just let us know about the property you’d like to be rid of and sell your house fast for cash. D Gilpin Properties is Charleston’s #1 Most Trusted Home Buyers. See Reviews From Real Homeowners and Check Out More Detail on How Our Process Works. We’re Ready To Give You A Fair, Cash Offer For Your House. Keep reading to learn more about D Gilpin Properties and how we can help you sell your house faster! To us, your house isn’t just another property – it’s a home. We know selling your home is personal and isn’t always easy. We’re here to help you every step of the way. We buy houses in Charleston, Hanahan, Mount Pleasant, North Charleston, Ladson, Summerville, James Island, West Ashley, and all surrounding areas in SC. If you need to sell your house fast in SC, we may be a great fit for you. We are local, dedicated, and professional cash house buyers. Sell your house fast to Charleston’s Most Trusted Home Buyers, D Gilpin Properties today!